Frenchman’s Harbor real estate for sale is the newest edition to the Juno Beach real estate for sale in Palm Beach County Florida offering Intracoastal and interior fingerling waterway-front homes for sale. These Luxury waterfront homes for sale in Frenchman’s Harbor are being constructed by the Toll Brothers, master builders of homes for sale in exclusive communities across Palm Beach County Florida. Frenchman’s Harbor is comprised of town homes and single family custom estates with ALL Frenchman’s Harbor homes for sale featuring private deep water docks with Atlantic Ocean Acess. 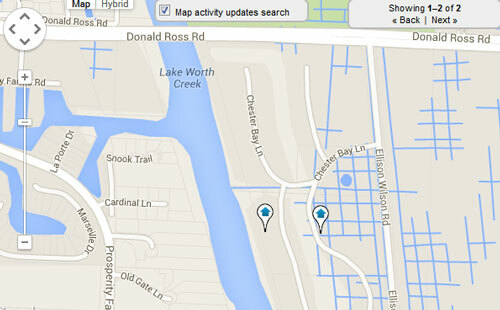 Frenchman’s Harbor still has a few lots left for those who seek custom waterfront property for sale in Juno Beach. Consider calling me to get a glimpse of what this community has to offer to the avid boater. Prices range from just under a million to over four million for one of these luxurious home sites. Gated and equipped for the ultimate luxury Florida boating lifestyle is what Frenchman’s Harbor community brings to North Palm Beach. Frenchman’s Harbor features mediteranian custom homes all having their own private dock located directly on the intra-coastal. If your a boater looking for a custom new construction home on the water you should certainly look here first.